I’m happy to report that the results far exceeded our expectations. 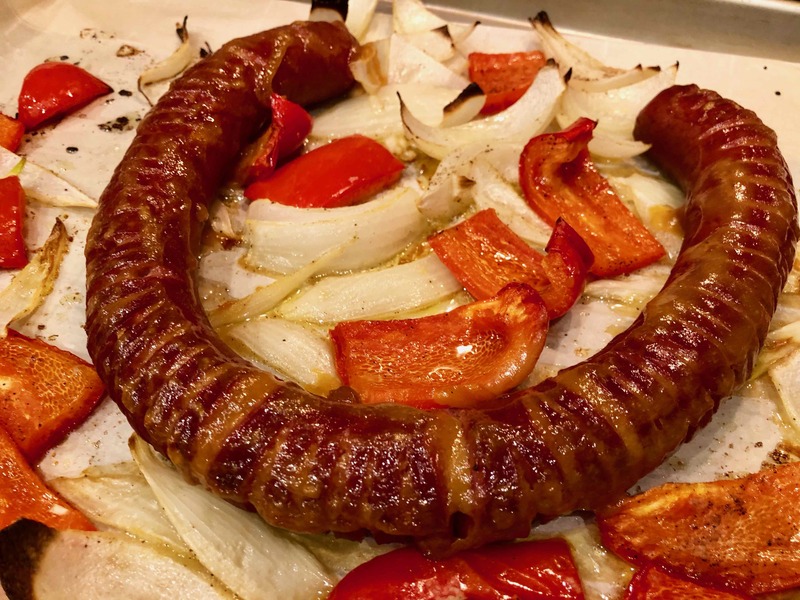 The flavors of the roasted pepper and onions were enhanced by the meaty flavors of the sausage, and the sweet-and-sour basting sauce glazing the kielbasa provided the perfect complement to its smokey savor. 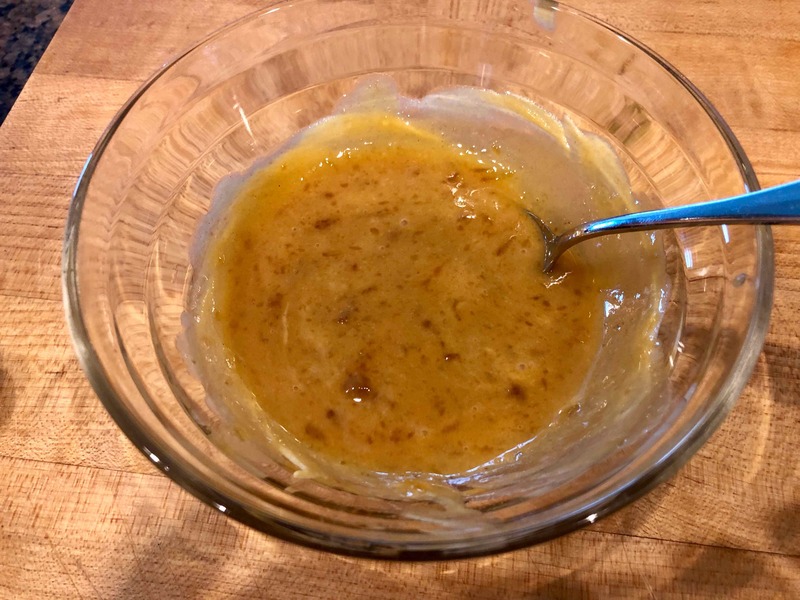 The Times recipe was one of Sam Sifon’s “no-recipe recipes,” a series that I’ve become quite a fan of. 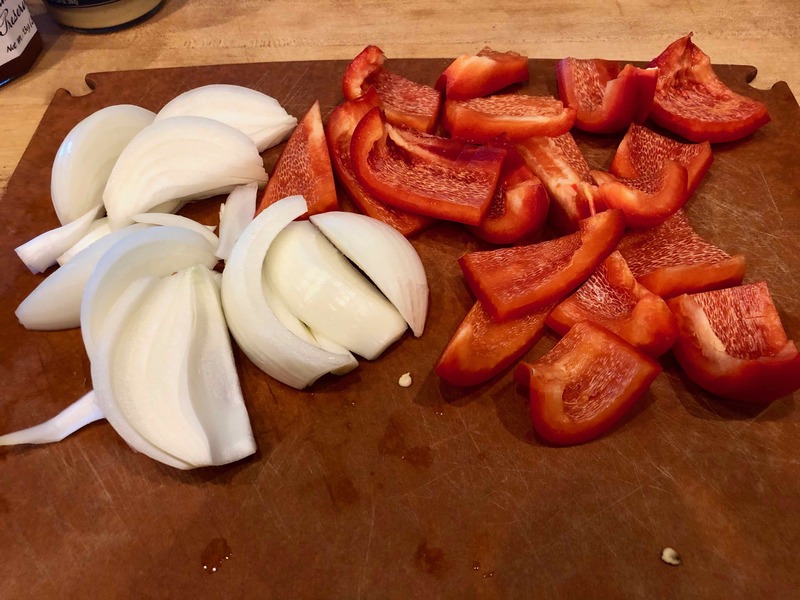 I find that although most of them work, they still benefit from a cook’s past experience in the kitchen. 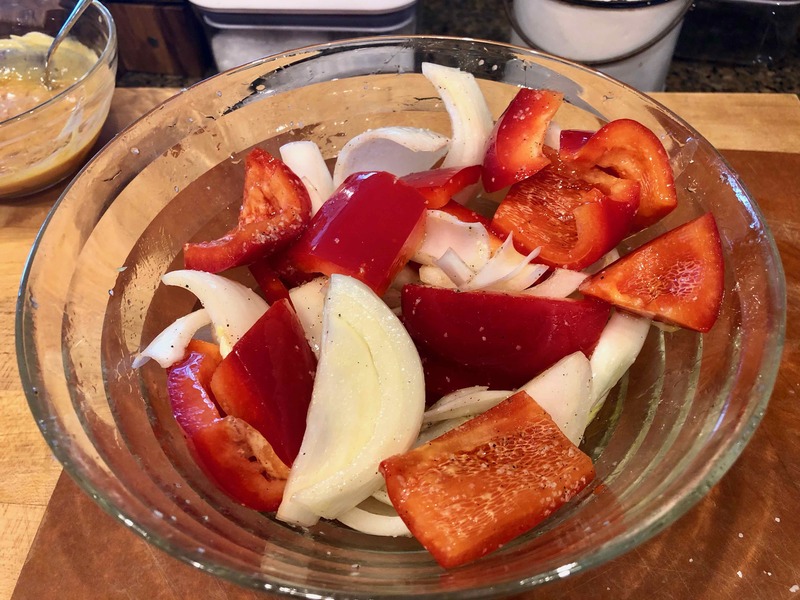 For example, the recipe says “cut up a small onion and a bell pepper.” However, if you consider both the oven temperature (425ºF) and the cooking time (20 to 25 minutes), know-how would suggest cutting them into chunks rather than thin strips so that they wouldn’t scorch before being roasted. My only regret is that I didn’t have crusty ciabatta rolls on hand to transform this dish into the perfect sausage hero. Shall definitely make this dish again. 2) Toss the vegetables in a splash of neutral oil, salt and pepper them, and tip them into a single layer on the hot pan. 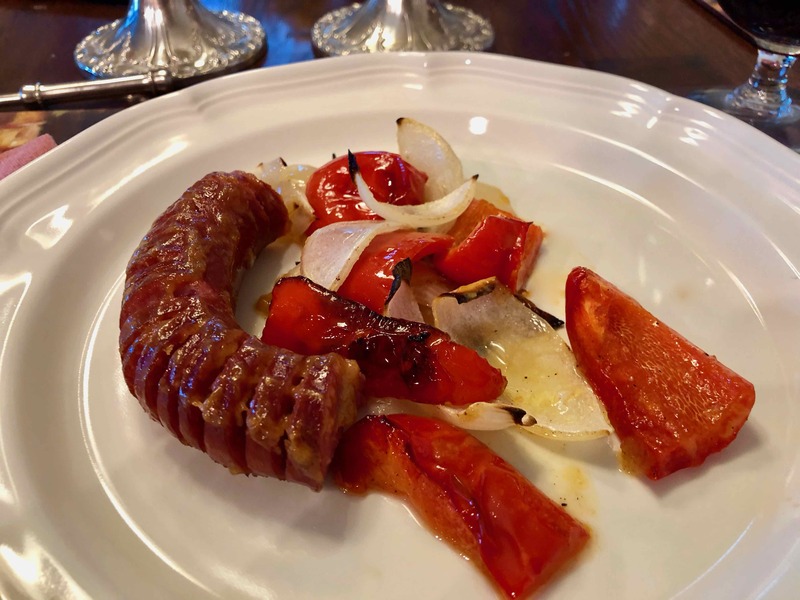 3) Allow these to roast in the oven while you cut the kielbasa into thin slices, stopping short of cutting all the way through the meat. You want to end up with a long accordion, basically, or an attenuated pill bug. 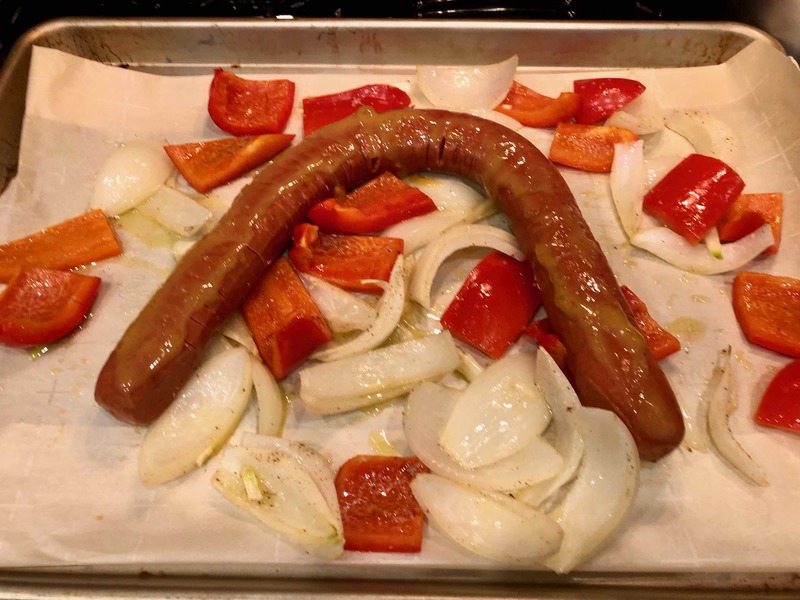 4) Now remove the vegetables from the oven, give them a stir, and put the kielbasa on top. 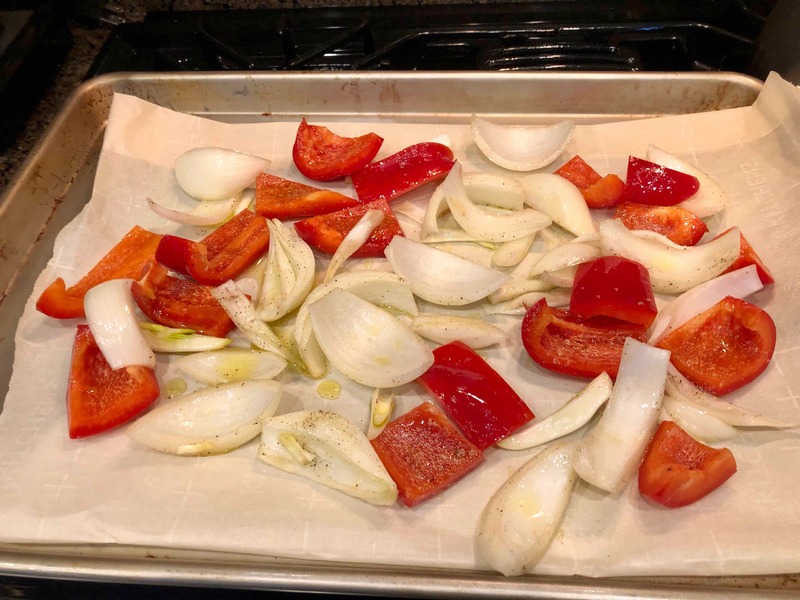 5) Return the sheet pan to the oven and allow everything to roast into crisp softness, 20 to 25 minutes, basting heavily two or three times with a mixture of equal parts apricot preserves and mustard, about 2 tablespoons each. Serve with steamed greens or a fresh baguette. It’ll go fast. 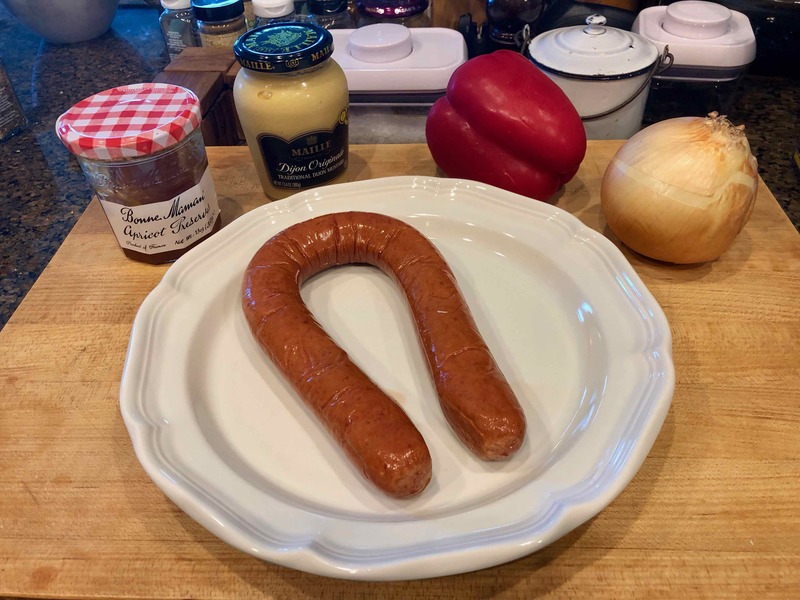 Your Hasselback Kielbasa looks very tasty and reminds me of our Swedish Falukorv recipe. 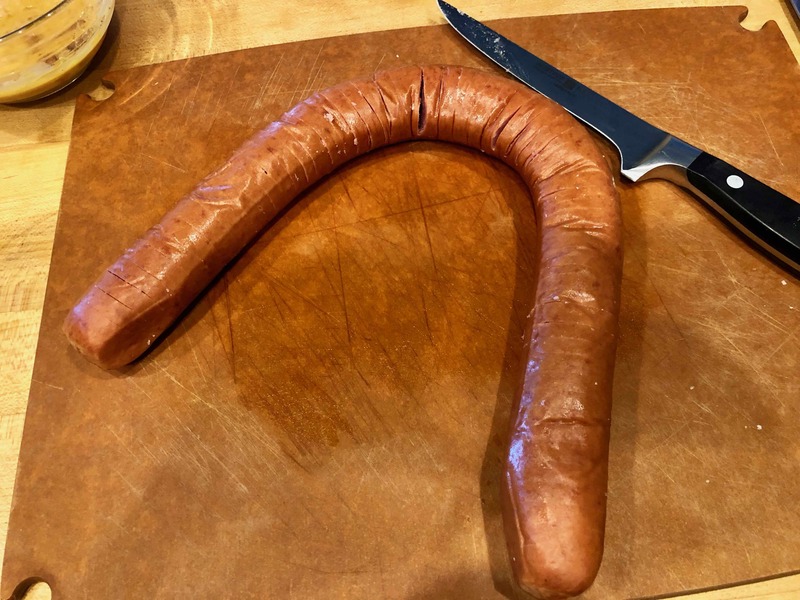 Falukorv is a ring sausage with the texture and taste similar to bologna. I have to try your sausage recipe. We never get free products here in our markets, maybe a taste sample now and then, but no freebies.